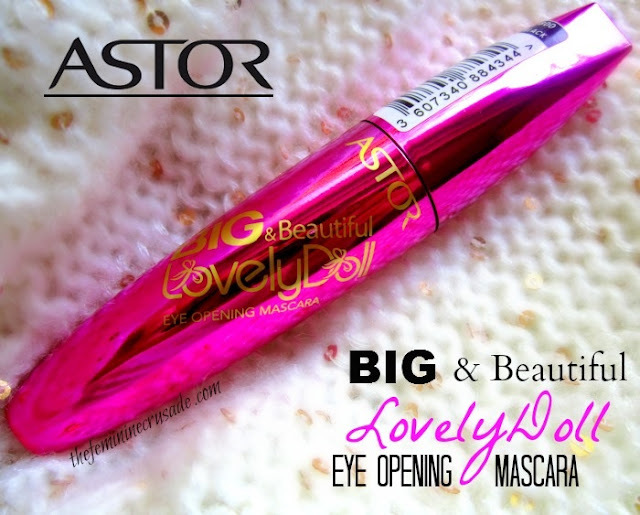 Astor introduces BIG & BEAUTIFUL LOVELYDOLL Mascara for a more dramatic, fanned out doll effect. The creamy Volumizing formula offers sensational volume with the elegance of perfectly separated, fanned out lashes for the most eye-catching look. The unique LovelyDoll brush Flat brush is the perfect accessory to create an amazing wide eye doll look. It plumps lashes then ball tip lifts and curls. Intensify particularly the corner and bottom lashes to maximize seductive effect. Available at all outlets that stock Astor products. In Germany, find it at DM, Rossmann and Galeria Kaufhof. Big and Beautiful Lovely Doll Eye Opening Mascara is only available in the colour Black 800 containing 12ml of product. Big and Beautiful LovelyDoll Mascara brings images of wide-eyed thick fluttery doll eyelashes. I know no mascara does that but at least something close. With the cute shiny pink packaging and the wand with the ball end, I was hoping quite a lot. It’s such a disappointment that the mascara is not even close to being awesome. It is pretty ordinary. 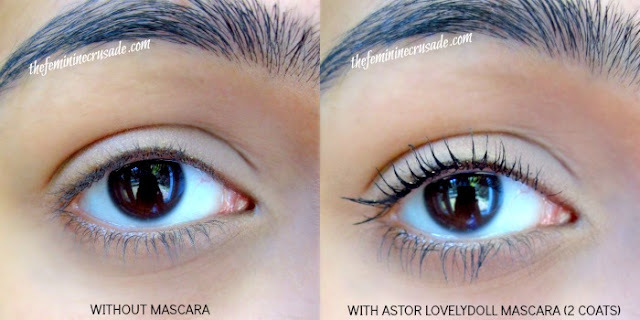 And it’s really sad since I love all Astor products that I have reviewed on my blog. The mascara has a brush with a ball tip at the end specifically to lift and curl the lashes with it. I have to say the concept is pretty interesting and to a certain extent it works, it does not curl (I use a lash curler beforehand) but it does lift and makes the ends fluttery. 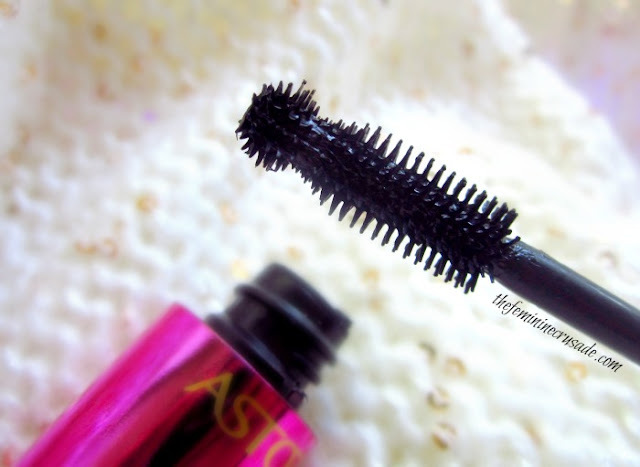 However, the mascara formula itself is not effective enough to give either good volume or length. It only separates lashes and works as a nice everyday mascara when you do not want any oomph. I also have trouble applying the mascara with this ball brush. The ball keeps interfering with the regular brush, and I cannot get to all my lashes without wiggling my eyes here and there, which takes forever, unless I want the ball to poke me in the eye or smudge my nose. I have applied two coats in the swatch below. It doesn't clump badly, which is good. If you have already long and thick lashes and just want a natural mascara this might work for you then, because it doesn't flake or smudge once it has dried and does makes lashes noticeable. Also it could be combined with a voluminous mascara and the ball tip used to give a fluttery look at the ends. Doesn’t meet its wow-effect claims! Good enough for natural-looking lashes and flutteriness at the end.